Katherine the Great began designing costumes in 1995 while still in high school, inspired by the lack of interesting clothing and costuming in her sizable size. She has brought that same commitment to beautiful clothes that fit well to her unique accessory business Blue Moon Designs. 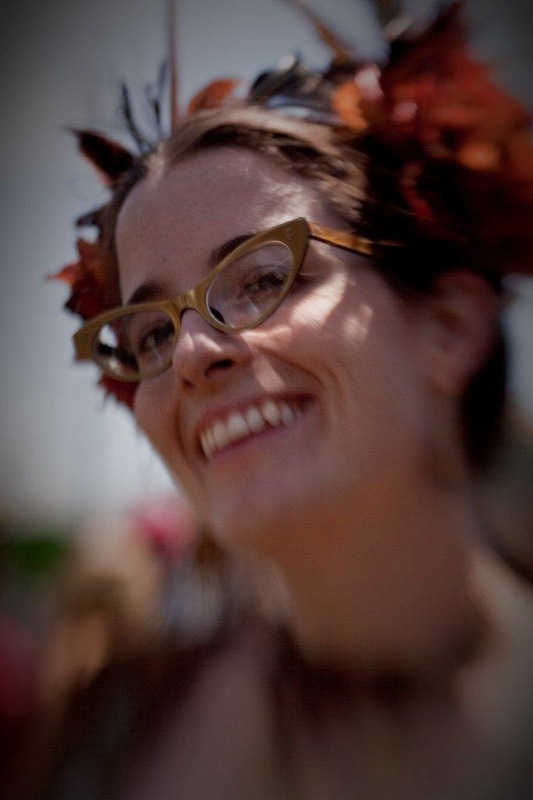 Graduating from the University of California, Davis with a degree in Costume and Textile design in 2000, she began Blue Moon Designs first as a custom costuming business. She spent several years entranced by many different activities involving costumes -- bellydancing, Renaissance Faire, and Burning Man -- all the while developing a historical design sensibility ... with a twist! After falling in love withthe steampunk Victorian house-on-wheels art car at Burning Man called the Neverwas Haul, Katherine designed her first fancy pocketed utility belt, and has shifted the focus of Blue Moon Designs to fancy utility accessories, many of which involve LED lights and other interesting hardware. As the Lieutenant Commander of the Neverwas Haul's Traveling Academy of Unnatural Science, she and her husband Dr. Prof. Samuel Tweed now provide rapid-deployment tea and cocktail service to the thirsty masses via such contraptions as the Tea Engine robotic tea service and the Executaire backpack bar. She is also occasionally known as Black Rock Ranger Librarian. Above all, she is committed to promoting universal body positivity through fabulous fancy accessories! Click here to read Katherine's "Love Letter to Hips" -- inspired by Janet Gallin's "Love Letters Live" project.